A wonderful selection of small, disparate, Roman glass beads have been collected and strung together in this necklet. 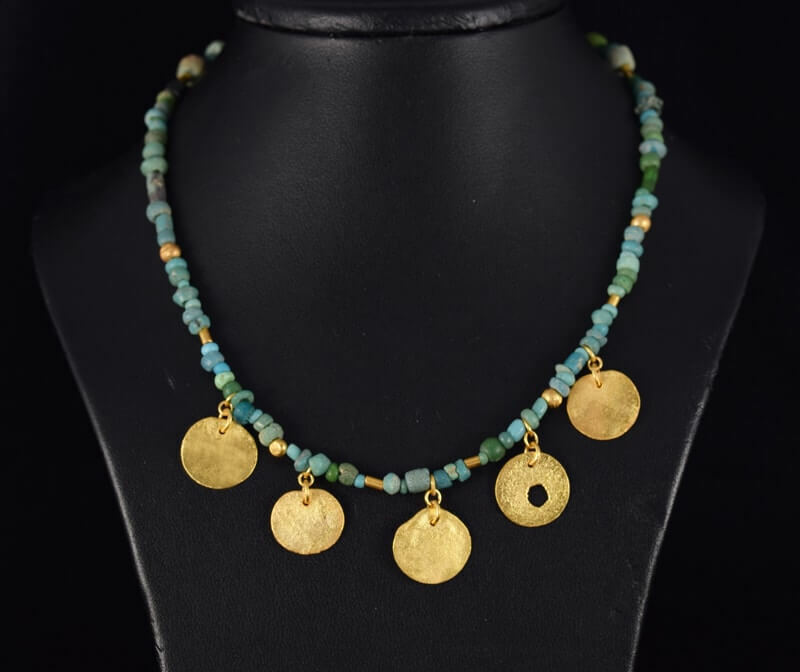 Between the glass beads are a number of little 22ct gold tubes and gold beads. 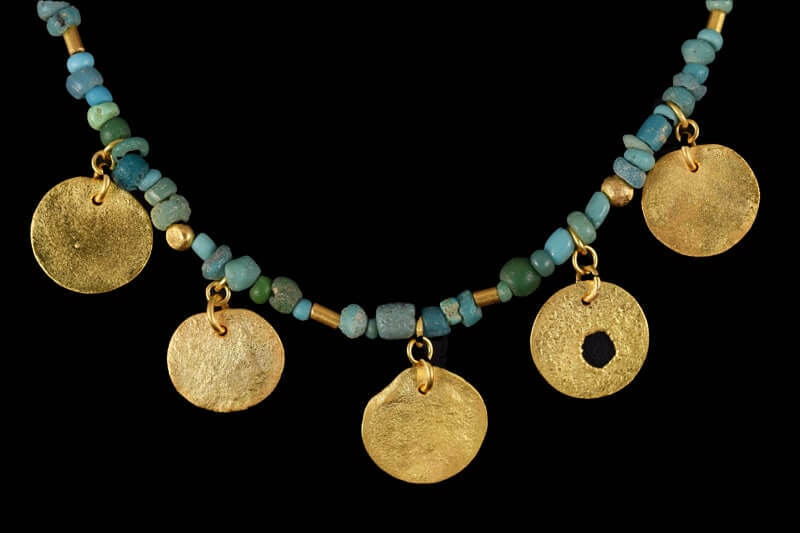 Five small gold discs that have been heated and melted to look ancient and worn, hang from the strung beads. This little necklet is so wearable, and goes with every single shade of blue or green as the obvious choices, but looks wonderful in the summer with white or eye-catching in the winter with black. So versatile, and so useful.